Stress is one of the most disturbing ailments that affects different people in countless different ways. Depending on the type of symptoms the patient exhibits, the corresponding treatment is availed. 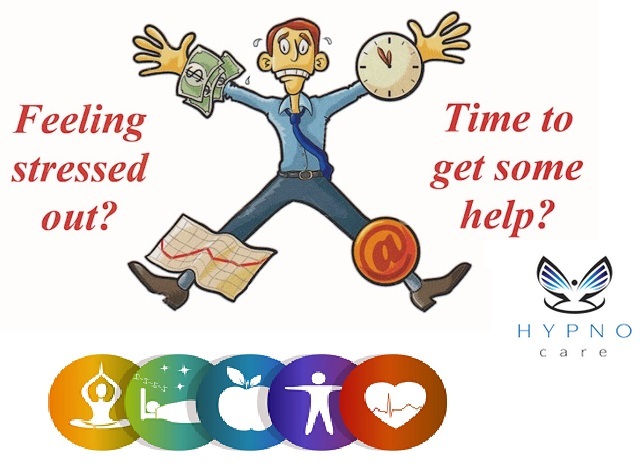 Our clinic, Hypnocare, provides hypnosis for stress management, helping those affected by the various forms of stress and helping them regain a sense of calmness and control over their lives once again. Using hypnotherapy helps patients to gain access to their core strength that enable them to handle and control their anxiety effectively. Hypnotherapy enables one to see things in a different perspective. To be well composed in the face of hard situations and to be alert, think with clarity and at the top of it all feel extremely relaxed. 1. Deal with anxiety in a more relaxed and composed manner. 2. Find one’s core power which aids in taking better charge of situations. 3. Attain a renewed perception on anxiety bringing situations. 4. Freely reason, behave and feel more composed. 5. Easily let go of stressful experiences. In most situations, the way we react to anxiety is generally determined by the subconscious mind. This is a part that we are generally not always aware of. The use of hypnotherapy make communication with the subconscious mind easy which avails the ability to regain absolute control. How can one cope with stress more effectively? Hypnotherapy can help one relate with the world and situations more effectively. Take into consideration the power of being able to relate with anxiety in a much composed manner. Our method is effective, full of concern and putting forth the best results. Our goal is to aid one achieve the desired target in a much shorter period, working at the core cause of the disturbance to create a life-time of improvement. 1. Being composed when faced with anxiety. 2. Attain confidence in dealing with what comes forth. 3. Be able to dwell in the current situation without being worried about what was and will be. 5. Dealing well with what life throws at you. 1. Find a quite place free from distraction. 2. Be relaxed in a comfortable position. 3. Select the main goal of the session. Easing of stress levels is well achieved by focusing on the positive side of the goal to be achieved since the subconscious mind won’t always recognise the negatives. 4. Start by taking deep breathes while visualising you are breathing in calmness and breathing out all the stress from the day week or month. 5. Choose a relaxing environment and envision yourself there leaving your current surrounding behind. Keeping focus may make it feel like a daydream. 6. When the feeling of complete relaxation hits you, repeat a positive phrase to yourself. Try picturing the comprehensive nature of the world, the world itself or the end result of being stress free. Analysis and psychotherapy can be an applicable treatment for stress. Intellectual behavioural therapy can aid people to comprehend the reasons behind why they cogitate in a specific way and why their considerations can be positively influenced to cope with the problem. Since the situation itself is not the direct cause of stress but our own reactions, hypnotherapy for stress can be helpful. The ability to change our responses to a specific difficult situation towards the positive direction, will influence the overall sensation about the condition positively. This form of therapy can help discourse one’s anxiety levels. The help of the hypnotherapist aids one in gaining the ability to figure out the root cause for anxiety. Furthermore, one may find it is a past experience, situation, physical issue or something to do with a relationship that is the main cause of the stress been experienced. After finding out the root cause of the problem, one agrees upon a goal. The therapist gives the guidelines in achieving the desired number of different methods to be used. Depending on the therapist, the technique always change but the end results are always the expected ones. Hypnotherapy for stress treatment begins taking effect after a number of sessions with the therapist, but it fully relies one’s reaction to the whole process. The feeling of composure and complete control of anxiety kicks in after a few sessions which eventually leads to a stress free life. 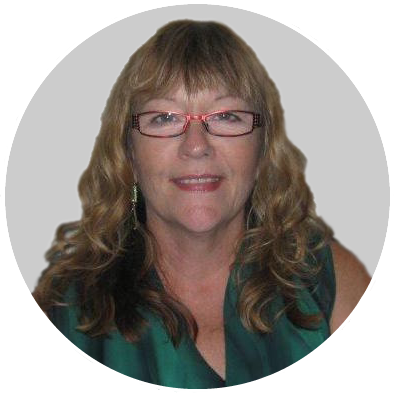 Linda Milburn is A Professional Perth Hypnotherapist. “I have seen firsthand that hypnosis can be a powerful tool to help clients overcome many of their varying complaints. I know through my own life challenges just how daunting things can become, and I know that I can help you if you are ready to take that first step to taking back control of your health and well-being – physically, mentally, emotionally and spiritually, whatever that means for you. Call Hypnocare or Linda Milburn today on 0409 079 435 or 08 9388 6322! Results will vary from person to person. Located in Hilton, 3 min from Fremantle, WA. Located in Hilton, 3min from Fremantle, WA. Linda has been involved in Natural Healing for over 30 years and her past studies and practices have included Aromatherapy, Chinese Massage and Reiki.